you to Danish Open in Rabbit Hopping in the Whitsun 2018. Arrival Friday 19:00-22:00 and Saturday 07:30-08:30. The place and address is Gedvedhallen, Kirkevej 16, 8751 Gedved, Denmark. The starting fee is 20 DKK (2.7 €) per start. Cage price 20 DKK (2.7 €) per cage. No other than the registered rabbits may be brought unless otherwise agreed with the organizer. Only 1 rabbit per cage. No other animal species may be brought. Participants must bring their own feed, bowls and hay for the rabbits. All straight and crooked classes will have 2 courses, where first run is taken on course 1 and second run is taken on course 2. Starting height for high jump is 55 cm. Starting length for long jump is 100 cm. Registration no later than 20 April at tilmelding.kaninhop.dk/DanishOpen2018 – the registration is binding. After signing up, you will receive a notification of payment. 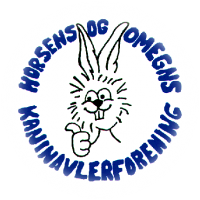 If you are attending from a foreign club, please fill in 0 as “Medlemsnr.” and “Anden” as “Forening” on the registration form – and if your rabbits are not registered in the Danish Hopregister just write 0 in the “Startbogsnr.” column. Rasmus Bjerner will contact you afterwards to have your rabbits registered in the system (it is free for foreign rabbits participating in Denmark). The participating rabbits must be vaccinated according to their home country's vaccination rules. Questions can be asked to Rasmus Bjerner via the website or on phone +45 25 31 93 09 (after 5 PM).